All feedback will include the full name, company and location. Working with you has been a very positive experience, I decided to go with you because of the outstanding information I ran across on the website. Pricing was low and my project manager was very pleasant. You created my kangaroo exactly how I pictured it in my head, I was very pleased with the final product. Everything was on time with the prototype and delivery. The level of customer sevice was very high, always responded to my emails right away. I never had to wait or worry about anything. I will continue to work with Binkley Toys for the rest of my projects. Thank you again for the great work. Thanks Rob, I’m just getting started with my Awassi sheep toys and giving the first reading to children at a bookstore about two weeks before Christmas at one of the local bookstores. If doing this sort of thing with children is a hit, I’ll definitely need to be looking into getting some hand puppets for children. The bookstores I have approached to date have been extremely impressed with the quality of workmanship. Your company is to be commended for the good job you’ve done on these. Firstly, I just want to apologize for the delay. My sales team and I have been hard at work prepping for events as well as selling Dropper Boppers! As I have come to expect from Binkley Toys you have done another outstanding job. I am completely satisfied! 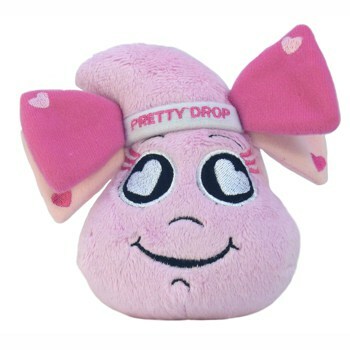 Lastly, I want to thank you for all of the time and effort that you have put into my Cool and Pretty Drop plush’s. 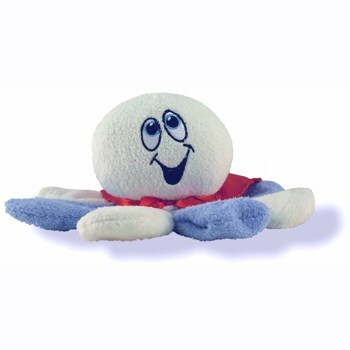 My team and I are working around the clock to spread the word about the Dropper Bopper plush toy brand. I hope to contact you once more in the coming month’s with another order. How are you? This is Cynthia “Lady Rose” Roberson. The Mother of Ritta Book. I couldn’t hold in my enthusiasm any longer, I am loving Ritta. Those people who have ordered her in advanced are loving Ritta. Even my new customers and clients are loving Ritta. Everybody’s loving Ritta and naturally I owe it all to you. I just want to Thank You for being so patient with me. I was so nervous about going through the whole process. You know, you have your vision in your mind and you aren’t quite sure what to expect, but you guys did great! It’s one thing to have a vision but Binkley Toys actually made that vision tangible. For me to be able to experience the joy that Ritta is bringing to young readers it’s beyond words. I’m not quite sure where Ritta is going to go but trust me when I tell you, that if it was not for you she wouldn’t even be in existence. I’ve got to Thank Rob for coming up with the idea of bringing people’s vision to life and I just have to Thank You for being part of this journey with me. I didn’t know what to expect. Me and you had our moments cause I was getting frustrated but your hung in there with me. Even when I was getting a little abrasive (laughs) you stayed calm and cool and just talked me through the process. And I thank you. I really thank you. I can’t wait for Rodney. 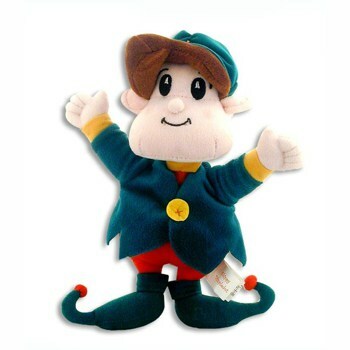 Now that Ritta has come I am working on another toy named Rodney, Ritta’s brother and you guys have to hang in there with me because I’m trying to create a whole family. 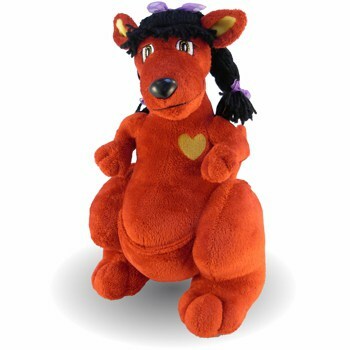 And I know whatever I have in mind in so far as Plush Toys I got Binkley by my side. Again Thank You so much for everything. Continues success to you all. 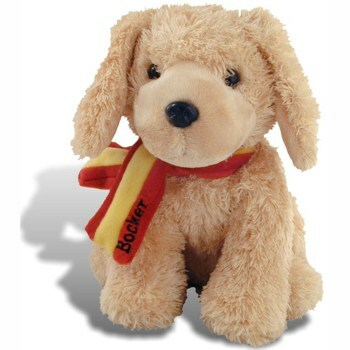 Hi…It is hard to believe that from a few months ago, this idea turned into 500 Bocker puppies being delivered to us. I guess it all goes back to from when Bocker was a puppy and he posed for the camera. Since then he has been featured in Tommy Hilfiger and Ralph Lauren ads. 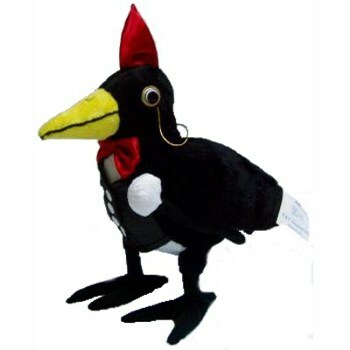 Everyone always said how cute he is..and many of his young fans mentioned a stuffed toy of Bocker. So I started my research and came upon Binkley Custom Products. I did receive e-mails from a few companies willing to take on our project but from the beginning I felt very comfortable with our Project Manager at Binkley. We worked with her sending in photos of Bocker and the prototype image was so close to our Bocker. We were always updated on our project and knew what to expect. Our prototype was received and looked very much like what we had wanted. We wanted to go ahead with the project but weren’t totally comfortable with the color. She assured us that we could adjust things to what we felt comfortable with. Well, the end result has been incredible. Yes, we are taking on a bold adventure of marketing these Bocker pups ourselves, but with his popularity and the international recognition of his website, http://www.bocker.tv, who knows. He is destined to become a bigger star and Binkley has helped our dream become a reality. You always signed each update e-mail with Bear Hugs and we send back Bocker’s trademark, “Woofs and Licks”. A job well done. We are so happy with our Bocker puppies and so is he …just check out the photo attached. I received your note in the mail and I want to let you know how much it means to me. You have been extremely helpful and knowledgeable in my quest to see the SOCTOPUS BABIES ™ plush toys come to life. You have also been tremendously patient with me as I work through the design and production process. 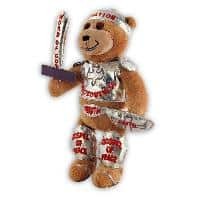 I always loved teddy bears and throughout the years have collected many bears myself. Each bear has something unique to offer. 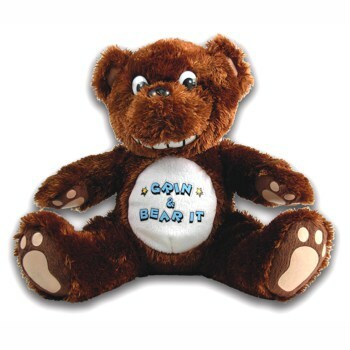 As I entered different stage in my life, the phrase “Grin & Bear It” was a resounding phrase that was heard. So why not a Grin & Bear It Teddy Bear? I had the design in mind and put it to a sketch including the hangtag and additional greeting card to make a complete package. I searched many companies and found Binkley toys. After some research I decided to call and from there the adventure began. Binkley toys took my sketch and enhanced it. They then brought that drawing to life with a prototype. After receiving the prototype I changed NOTHING. It was perfect. The purpose for creating the plush is for my start up company, Soft Serv Creations. 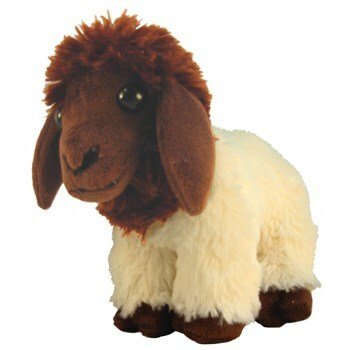 I am designing gifts and toys specializing in plush. Stuffed Fortunes is the first product that we are testing the waters with. 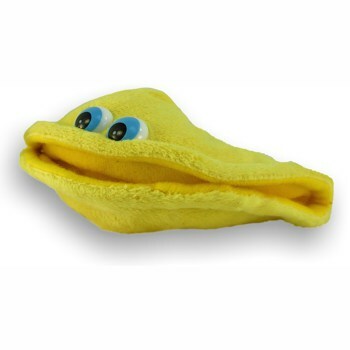 The concept behind Stuffed Fortunes is that it is a gift for all occasions, a larger plush version of a fortune cookie packaged in a take-out box. We went with Binkley because this was our first attempt at doing this type of project and Binkley had a user-friendly appeal to it and we felt they could bridge the communication gap with manufacturing in China. I had made lots of assumptions and expectations that I felt Binkley would be able to translate, but in the end I learned an important lesson; I had to be very clear of my ideas. In the end, I am very satisfied with the final outcome. Timelines for the production and delivery were reasonable and I was very glad to have a project manager who communicated with me every step of the way. In this way I think that Binkley is doing a great job. I had an excellent experience from beginning to end. I published a children’s Christmas book this year. It is titled Skippy Dimpledot, The Christmas Elf .As we were going through the process we decided that we needed an elf to put with our book. 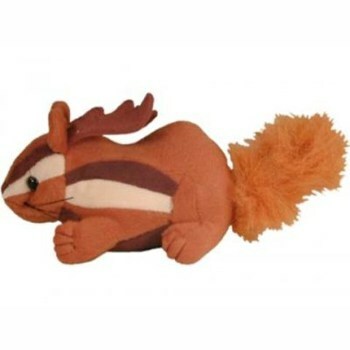 After researching the internet I found Binkley Toys. I spoke with a project manager and the process began. The Skippy Dimpledot that Binkley Toys created is fabulous!! I ordered 500 elves, thinking I would have several left over after Christmas. Fortunately, the response to our book and elf has been overwhelming, and we are close to selling out of our elves. Even when we were in production, the communication has been wonderful, staying on top of the project until the elves were safely at my house. 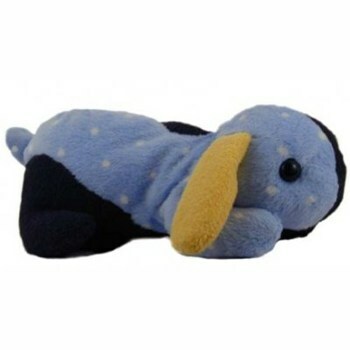 I highly recommend Binkley Toys to anyone interested in creating a plush toy, whether you are a large corporation or a stay at home mom like me. Thank You. Everyone had been asking for stuffed dolls of my Hiroko and Hiroshi for quite a while. The problem was that it had always seemed like such a pipe dream since custom dolls are one of those things that are thought of as hugely expensive unless you order a quantity on the scale with a national release. 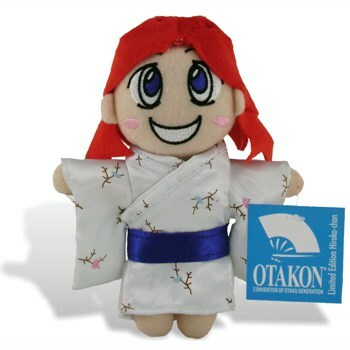 One of our webcomic guests however directed towards me to Binkley and it suddenly became feasible for me to start on making a doll of Hiroko. Communication with Binkley was great. My contact Shelley kept me updated with what was going on during every step of the process. Even though sometimes I was less than ideal with returning emails she would send a polite reminder that she was waiting for a response. When I got to see the prototype it was great but needed a few tweaks, and Binkley was great with that process too. They quickly made the changes and emailed a photo just to make sure everything was right. Working with Binkley was pleasant to say the least. I loved the final product. Thanks Binkley for making this pipe dream come true! The main reason I wanted to do business with you was “you.” Everyone else I contacted treated me the same way. You were different in that you impressed me as sincerely desiring to be part of my project. I’ve never done anything like this before and you made it plausible and helped me construct it. So – Bear and Frog Hugs for you. 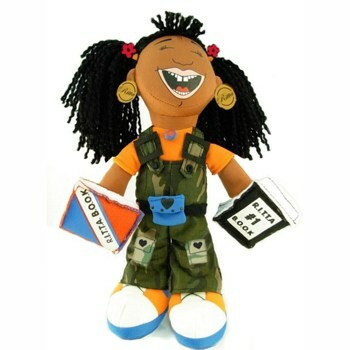 When I started this project, I didn’t know if the doll would look as cute as the cartoon drawing of Boomchyk, which Binkley saw on my website. But, sure enough, the doll was adorable but there was one thing that bothered me, that was Boomchyk’s mouth. For whatever reason, Boomchyk looked mad. I expressed my concerns to the Binkley rep I worked with. He fixed the problem, sent me a second prototype and I was pleased with how pleasant Boomchyk looked. I especially like the material, it is very soft. And kids love the doll. 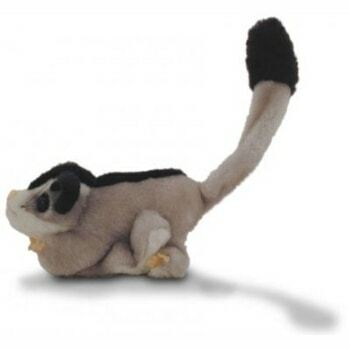 My small company specializes in sugar gliders – and sugar gliders only – so I wanted to offer a unique, but realistic, sugar glider plush for my customers. Binkley did an incredible job in capturing critical attributes unique to sugar gliders. We were picky, picky, picky and they made extensive modifications to our prototype several times until we were 100% satisfied – Rob & Annie were very friendly, professional and ever-so-patient with us! I really do love our Holiday Bun-Buns. 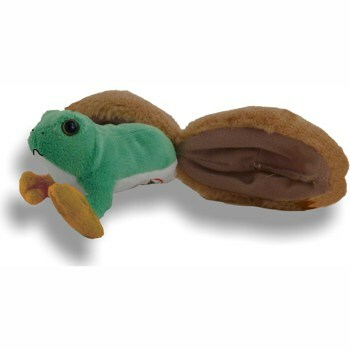 I had Holiday Bun-Bun made as a special-edition toy from our comic strip (Sluggy Freelance, at http://sluggy.com). Bun-Bun is a character in the strip (a mini-lop rabbit), and last year there was a story where he became “Holiday” Bun-Bun, with all the bright swirly colors. Our customers already love the regular Bun-Bun character, and making Holiday Bun-Bun was a way we could let our fans get a really neat version! Our experience with Binkley – both on our first Bun-Bun project and on Holiday Bun-Bun – has been wonderful! We needed to get Holiday Bun-Bun in our hands by early November, so that we would have time to take orders from our customers and get them sent out in time for Christmas, but it was already getting late in the year. Annie and the others there made everything come together smoothly – our original artwork turned into a first prototype very quickly, and the final design was ready shortly thereafter. Annie also was able to have an initial batch rush-shipped to us so we could show them off at a convention, and the final pieces arrived with a couple weeks to spare on our timeline. In the month that we’ve had all the Holiday Bun-Bun pieces for general sale, we’ve received great feedback on them, as well – we’ve already had a number of photos submitted of “me with my new Holiday Bun-Bun” at places around the world. So we’ve been extremely happy with Binkley, and our customers have loved the items as well! It was a learning event for me getting into this business and the timelines stated were as good as expected. I was Extremely! satisfied with their superior level of customer service and quality product, even me as a perfectionist. 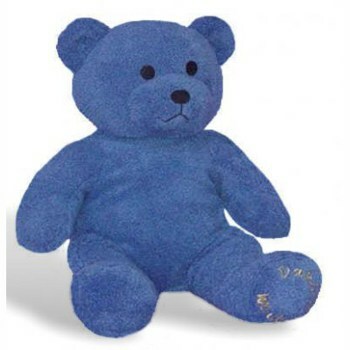 I designed the bear to bring comfort to those who have lost a loved one. I made bears from the clothes of my son who died. Our original “Kota Bears” helped us through our grieving process. We went with Binkley when I saw your website, liked the products and liked the folks I personally spoke with. The design matched my ideas perfectly. Once we got to a time line, you did provide product just as you promised. I have found everyone at Binkley to be very helpful and responsive. It has been a good experience and I will be glad to recommend your company. I have my children’s music group and Jessie Cat is a toy I needed. I sell to families and for our teachers to use in class. Binkley’s website looked great. I liked the in depth reply I received from my initial enquiry. I am very pleased with the service Binkley provided. Your level of customer service was excellent! 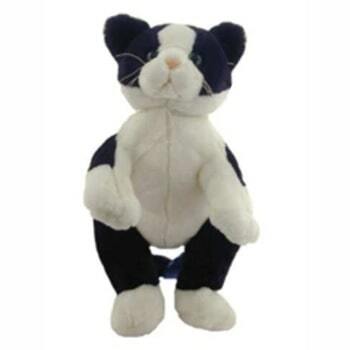 And you came very close to our original Jessie Cat. I made this character to share with the children of the world and give them a wholesome character to look up to and enjoy. I had reviewed several resources for manufacturing our product and was impressed with Binkley’s website, discussions with their staff and devotion to making the character. Binkley produced the character we had envisioned. I am real happy with your work on the Professor and have additional projects that we would consider using Binkley in manufacturing for us. Binkley produced the character we had envisioned. It was an idea we had for our small business, kind of like creating our own mascot! Campbell Bros. Confusion Hill is now known as ” The Home of the Rare and Elusive Chipalope”! Check out our web site for the “Chipalopes Tale” and learn all we know about the little critters. Our Project Manager did a SUPER job helping me! !